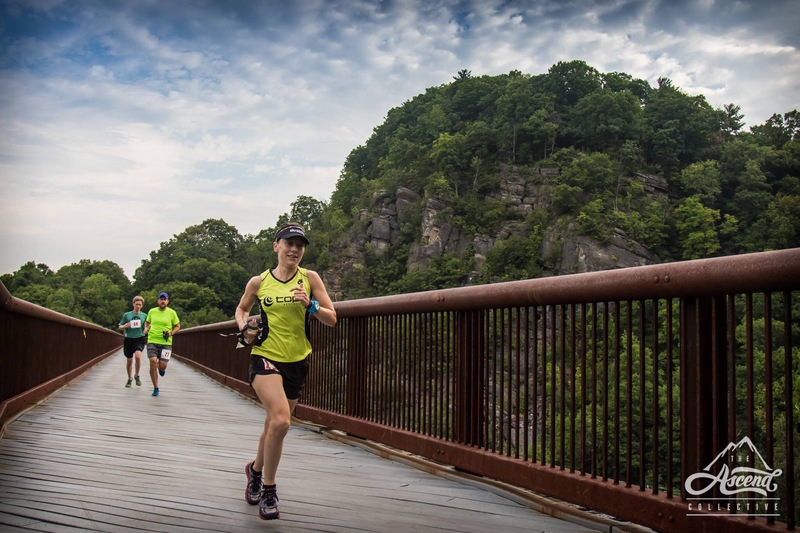 When I found out my training partner Jay Friedman along with Red Newt Racing would be hosting a trail run weekend in my neighborhood I knew I would be involved in some way. There was no doubt it was going to be a great weekend. I was simply waiting until after Escarpment to see how badly beat up my body was. I would either race or volunteer – I really wanted to race, obviously. I love the 3 race format – the challenge of tackling 3 events with little recovery time between each. This race offered 3 trail runs: a half marathon, a 10k, and a 5k. Your race entry fee allowed you to race all three events, or any combination of the three. 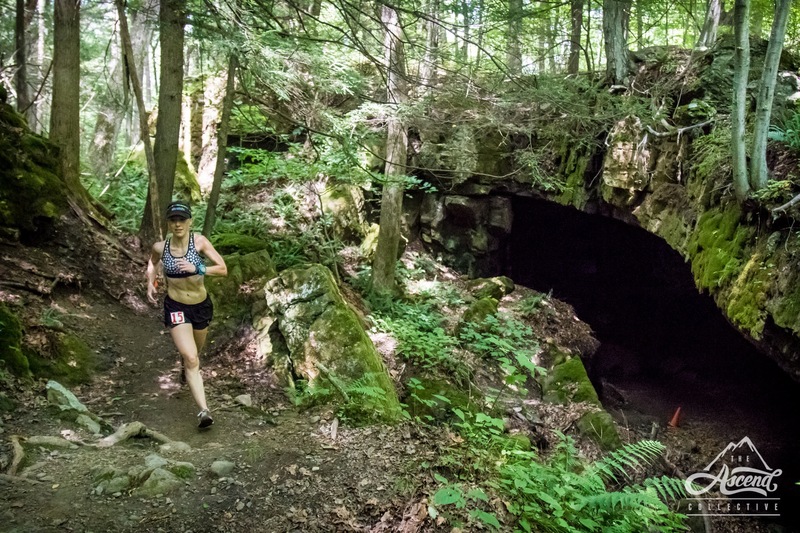 But that’s not all – this weekend also focused on fostering the community of trail racing that many of us love. Two nights of camping on the exclusive Williams Lake Project property were also included in your entry fee with a lower fee for friends and family who were not participating in any races. 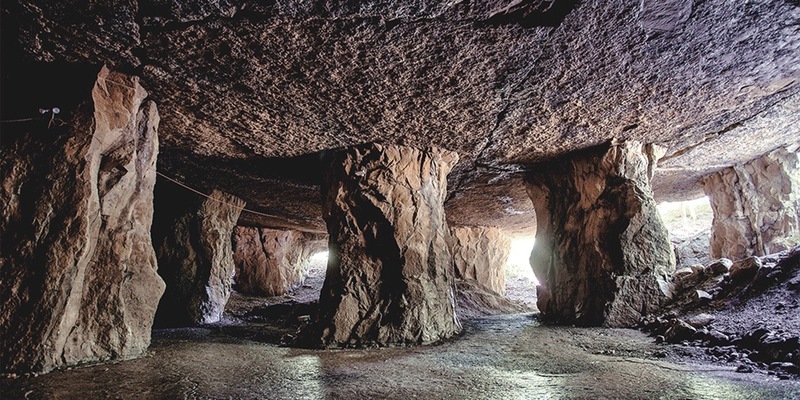 Wait there’s more – you also had access to a food truck on site, breakfast both Saturday and Sunday morning, lunch and dinner Saturday, a CAVE PARTY Saturday night, and swimming in the pristine lake. Yeah, that’s a whole lot of awesome! Tuesday morning I hit the track with Jay and Phil and was thrilled that I felt great and could still execute some speed. That evening I signed up for Lime Kiln Trail Runs! I did not plan to camp as I live so close to the race site and opted to sleep at home but I was looking forward to the rest of the activities. Despite this being a local event I was not familiar with the trails – only the public rail trail which the courses utilized. 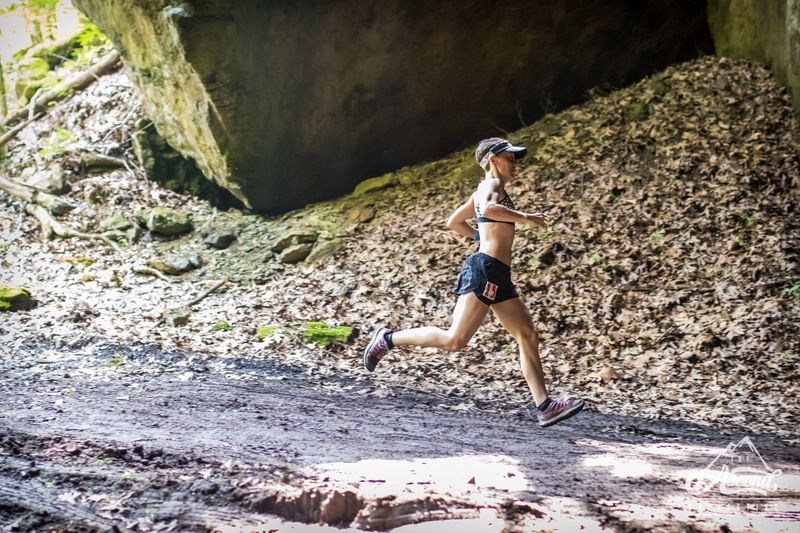 Knowing that I shouldn’t expect too much from my body only a week out from Escarpment I had a plan to run “only as fast as needed” to win all 3 events. I don’t know who I thought I was kidding – no matter what the race I have a hard time approaching it with that kind of casual attitude. Lined up by the lime kiln that the event was named after, with Ian’s ram horn send-off I ran mile 1 of the half marathon at 6:44 pace. We started on the flat rail trail so it was justified but I realized my “take it easy” plan was a joke. It didn’t help that Syracuse Track Club teammate Jade Mills showed up to race as well so I had some tough competition! After crossing over the trestle bridge we shot down the stairs under the bridge, crossed the main street in Rosendale, and proceeded to the only major climb of the course – Joppenbergh. From there we continued on mostly single track trails – nothing overly technical on the whole course but challenging enough! 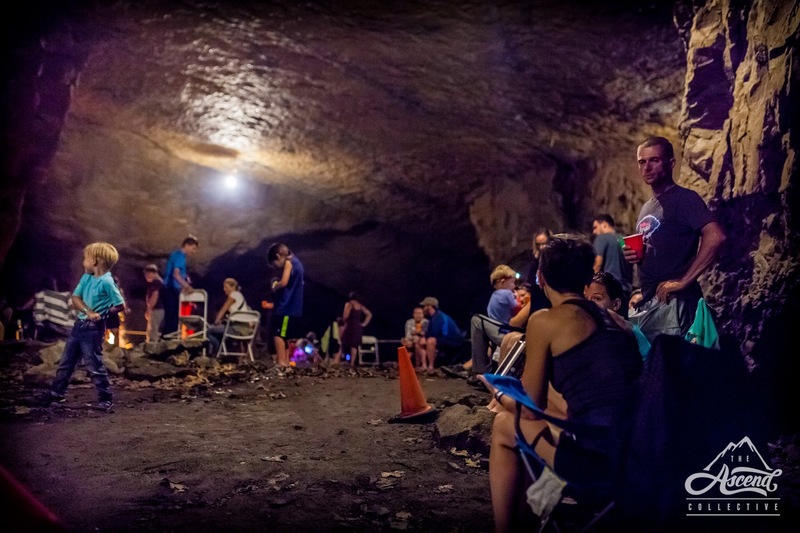 The highlight of all 3 races was passing through the cave – not something you experience at many races. It offered relief from the heat and the added challenge of your eyes adjusting to the darkness so that you had to pay attention to your footing. I’m not going to lie – I was feeling really tired during the half and although I knew I would complete all 3 races I was starting to dread how the other two would feel. As these thoughts crept in I decided it would be best to back off in hopes of saving something in the tank for later. I had been running with Mike Siudy but as we were caught by another competitor I let the two of them duke it out while I started my “cool down”. Hitting the last aid station Phil let me know there was one more mile to the finish line. I looked down at my watch knowing that couldn’t be right. Was Phil being mean with this foolery or did I miss something? It turns out there was some mismarking of the course making it 2 miles short. I was not at all let down by this. I crossed the line in 1:34:56, grabbed my Vega recovery drink, and straight to the lake with the other finishers to cool off before preparing for the 10k that would start in 80 minutes. I recovered quickly and lined up for the 10k. This time we started in the opposite direction as this race would cover the 2nd half of the half marathon course. I felt totally recharged during the opening miles and before I knew it my watch hit mile 4 and I looked down to see that I was averaging a sub-8 pace. Since my “cool-down” miles worked well for me in the first race I decided to use this tactic again and backed it off to finish the 10k in 51:05. The temps were really heating up so I mixed a bottle of Skratch Labs Hyper Hydration and back to the lake I went for my cooldown. 1 hour and 1 race to go! Lining up that last time for the 5k I was definitely feeling tired but pumped to finish the last race of the day. My stomach was growling from eating only a slice of watermelon and grapes between the races – I realized that maybe a gel before this final race would’ve been a good idea. Luckily it was a short one. The final race would traverse sections of both the first race and the 10k. I really enjoyed the change-up of each course but also appreciated that each race ran us through the cave. The first and second overall males were a mere 20 seconds apart in cumulative time going into the 5k so I was excited to see how this last race would play out. When the race started I tried to keep them in sight to watch it unfold but as expected once we started climbing they disappeared. I tried to run strong for the first two miles and then once I passed Phil at his aid station one final time I felt confident enough to back it off for the finish, coming across the finish line in 25:32. This was good enough for 1st female overall in all 3 races! As an added bonus I was able to improve my pace at each race. 8:30 pace for the first race, 8:17 for the 10k, and 8:15 for the 5k. √ Lots of lake time! I spent the rest of the afternoon relaxing in the lake and hanging out with friends while enjoying the provided lunch and drinks. At 6pm dinner was served along with some live music before the award ceremony began. 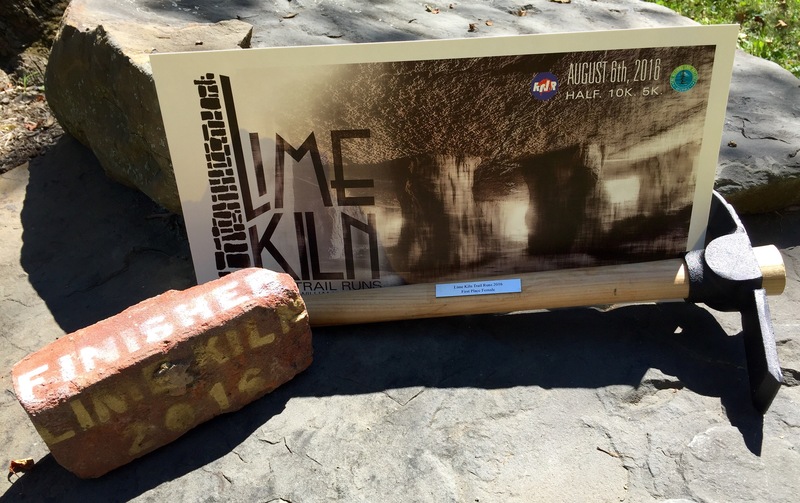 Every participant received a race poster, every runner who completed all 3 races received a brick from the original kiln that was stenciled to commemorate the day, and the award winners received pick axes. Very cool swag to top off the event! From there the party moved to the cave which was now lit – it was cool to actually see what we were running through all day! I think this event was a great success and everyone seemed to have had a great time – whether camping the full weekend or not. I am sure this race will continue to grow and I am excited to see this trail weekend at least double in size next year! The Ascend Collective was on hand to capture the event and the photos from the weekend are stunning. Make sure to check out the full photo albums to get a look at the beauty that surrounded us. Jared Avigliano’s video footage of the race and property can be found here. This entry was posted in race, race report, Red Newt Racing, trail race, trail running and tagged Lime Kiln Trail Runs, race, race report, racing, Red Newt Racing, running, Skratch Labs, The Ascend Collective, Topo, trail racing, trail running, Williams Lake Project by lljkline. Bookmark the permalink. That looks awesome! Next year for sure! This seems like such a cool series of races, and HOT DAMN for doing al three! Badass! Nice work Laura! Thanks! You should totally come next year! SHVP reunion time!